Hannah Lim is a traveling lifestyle and wedding photographer based in Atlanta, Georgia. She’s a sucker for natural light and loves to photograph with both medium format film and digital. Her photography can be described as natural, airy, and minimal with a fine art approach to details. 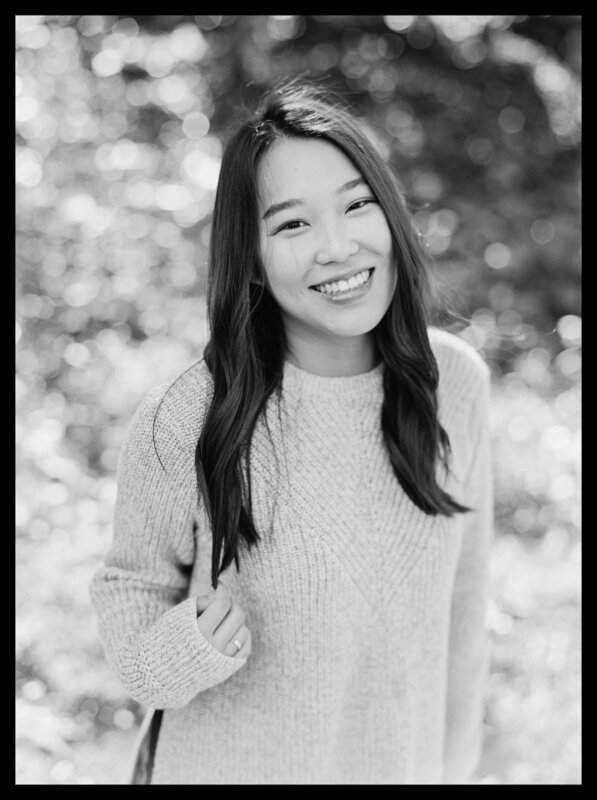 Hannah graduated from Emory and initially worked for Advertising & Marketing companies, until she finally made the switch to photography. She’s enjoyed taking photos and capturing every moment and celebration for as long as she can remember - so she decided to learn how to professionally take photos through classes in Atlanta, and by learning from various talented photographers. Through her journey, she’s fallen more deeply in love with photography and has found her passion in life. Hannah loves to make new connections with others and capturing authentic, raw, beautiful moments that can be cherished forever. Available services range from weddings / engagements / families / lifestyle work. hannah@bairdandlim.com — or use the contact tab above.